Volunteer Rosie Smith managed to capture some of The Hidden Gardens bug and bird life (and a slug or two!) a few weeks ago on a fine early summer’s evening. Check out the flickr album here. the RSPB Big Garden Birdwatch on Saturday 30th January 2016. It’s not just us humans that like to take a moment and smell the roses! 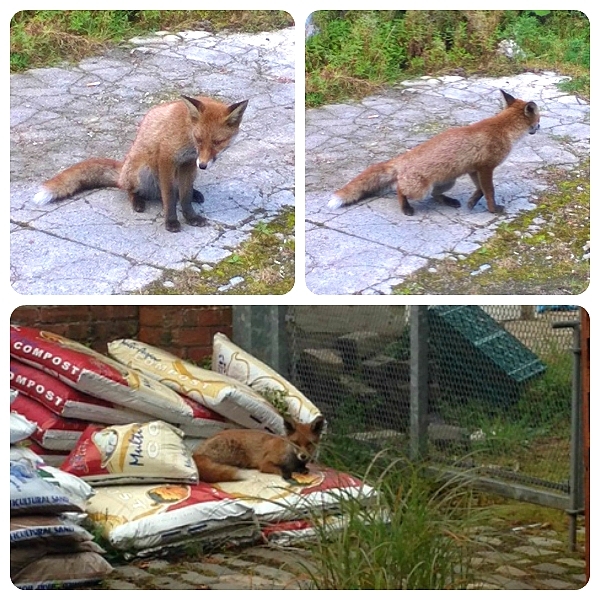 One of our volunteers snapped this pic of him lounging on the compost bags. Perhaps he’s super keen to volunteer with The Hidden Gardens? Unfortunately no Vulpine Volunteer Opportunities as yet, but we’ve plenty for people.